This week wasn’t supposed to turn out like this. I was supposed to be writing about a glorious 23 mile training run from this past weekend in preparations for the Bank of America Chicago Marathon. The last few weeks have been pretty chaotic and not at all what I wanted. Two weekends ago, when temperatures reached triple digits in Pasadena, the air conditioning in my apartment broke. It didn’t get fixed until August 21st. Brooke and I stayed at her parents house for the week. This altered so much of my normal routine. I believe that doing so for an entire week largely lead to a pretty severe cold that hit me the weekend of August 21 – 23. 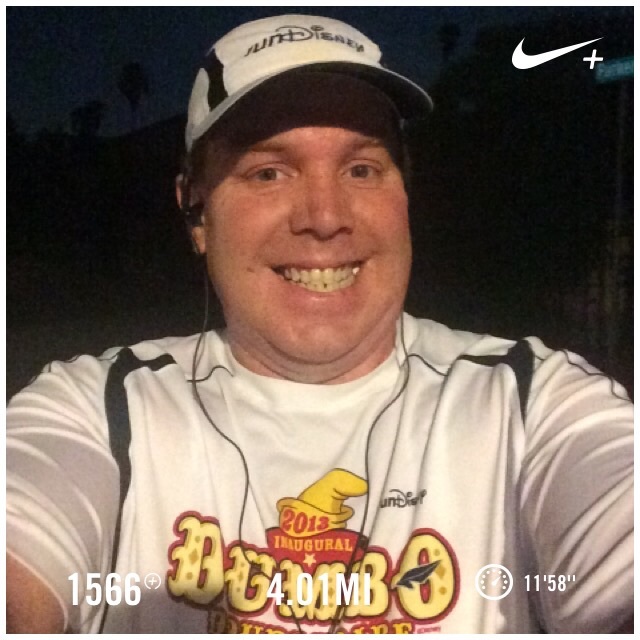 So, instead of doing a second Dumbo Double Dare practice, I didn’t run at all. Ugh! Y’all, this cold had me wiped out. On Sunday, August 23rd, I spent the day trying to convince myself to do something….anything. 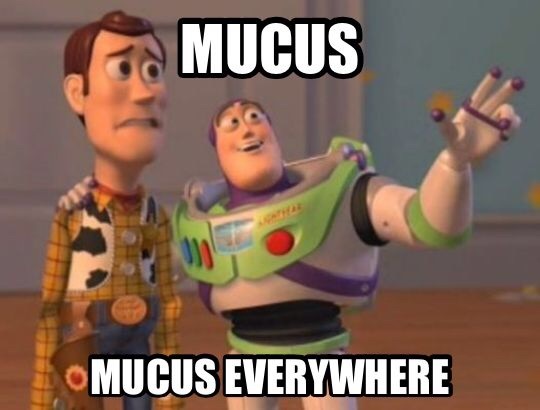 However, I was simply too sick. This continued on into Monday. So, I didn’t go into work. I hoped that, by staying home and sleeping a little, I’d be okay by Tuesday. I slept almost the entire work day on Monday. By the evening, I was feeling a little better and went out to get some laundry done. On the way to the laundromat, my car was behaving weirdly and the check engine light went on right before I arrived. So, since I wasn’t still 100%, I decided to take another sick day from work, get some extra rest and have my car towed to my mechanic. By the end of Tuesday, it was clear that my car would not be ready by Wednesday. So, I had to make arrangements for a rental. Fortunately, I live less than a mile from a rental car agency. So, that’s who I went with. All of that meant I had to be up earlier and out the door earlier on my first day back at work. Not exactly the best combination. However, it all worked out. My car was going to have to be at the mechanic’s until the end of the week. But, that was okay. I didn’t run on Wednesday because I was pretty tired after a full day at work and the earlier than usual leave time from my house. On Thursday, I finally made it out the door to get a run in. The finish time completely surprised me. You see, after being off my feet for so long and with the Disneyland Half Marathon Weekend looming, I decided to error on the side of caution. I needed to get back running. However, I couldn’t push myself to hard that I got even sicker. You know what I mean? So, on Thursday, I decided to run my marathon intervals for the entire 4 miles. I wouldn’t worry about my time. This run was to get me back running. I needed the miles. I didn’t need to kill myself. So, off I went. I was totally happy that my first mile was finished in just under 12 minutes. Not bad, I thought to myself. However, I was militant about keeping the marathon intervals. No matter how good I felt, I needed to be smart. 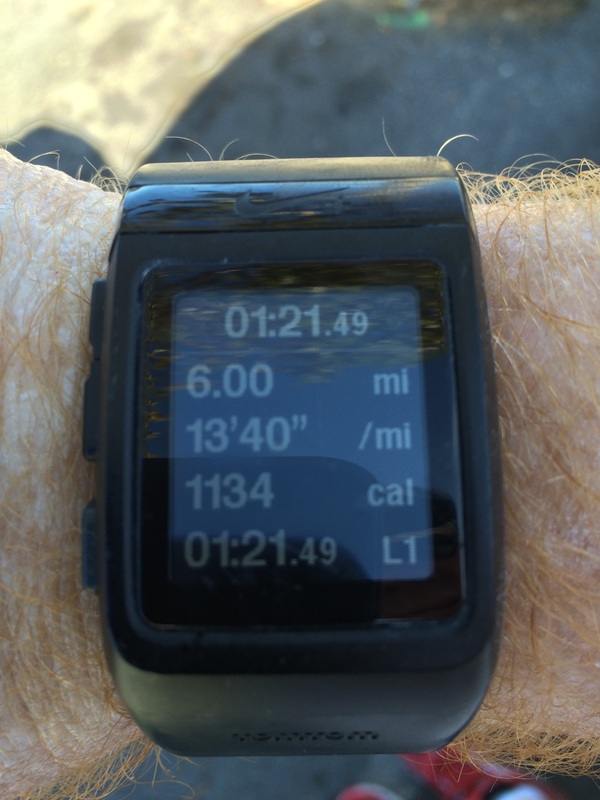 The good times kept rolling as I was still under a 12 minute per mile pace for the 2nd mile…then the third. I felt strong and was everything was going well. Then, I got stopped at a traffic light for 4 minutes. That killed all the momentum I had built. The rest of the run was a little more difficult. I went slower in the last mile. The slower feel was causing me to push a little too hard. I ended the run feeling okay, but not as good as I felt at the end of mile 3. That’s okay. I accomplished what I wanted. I got 4 miles in and didn’t push too hard to get it done. On Friday, it was my birthday! I don’t want to be too much of a downer here. But, it was not a very good day. I won’t get into all the 411. It was just bad. So, on Saturday, I was out to make up for the bad birthday. Call it a Birthday Take 2. Brooke and I started the day with breakfast at Denny’s. I never get pancakes for breakfast. So, to make up for my crappy birthday, I treated myself to this rare treat. Brooke was wanting to have a very chilled out afternoon. 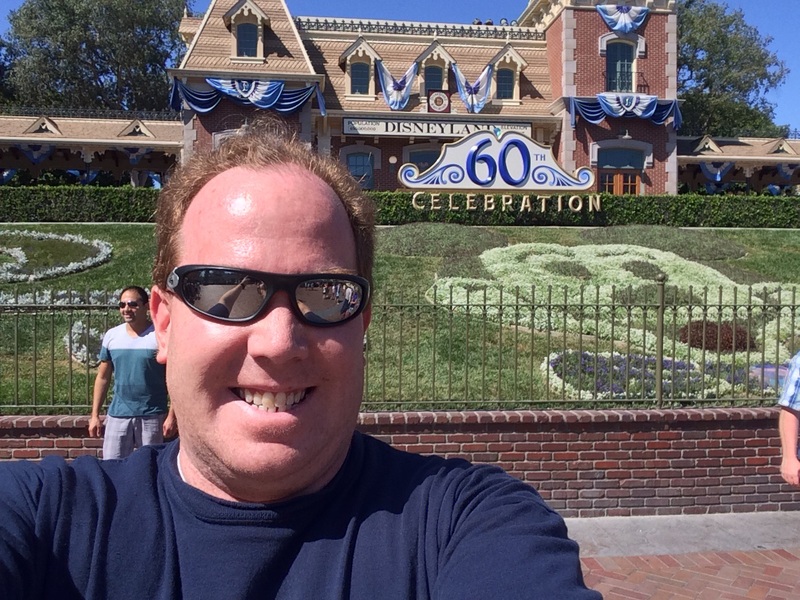 I took advantage of a day where my main gate pass was not blocked out and headed to Disneyland for a few hours. Now, I did have a task. On Sunday, we were going to be celebrating my birthday, Brooke’s birthday, and my mom’s birthday. My mom really wanted a Disneyland 60th Mickey Ears. I could have just gone to Downtown Disney and purchased them at the World of Disney Store. 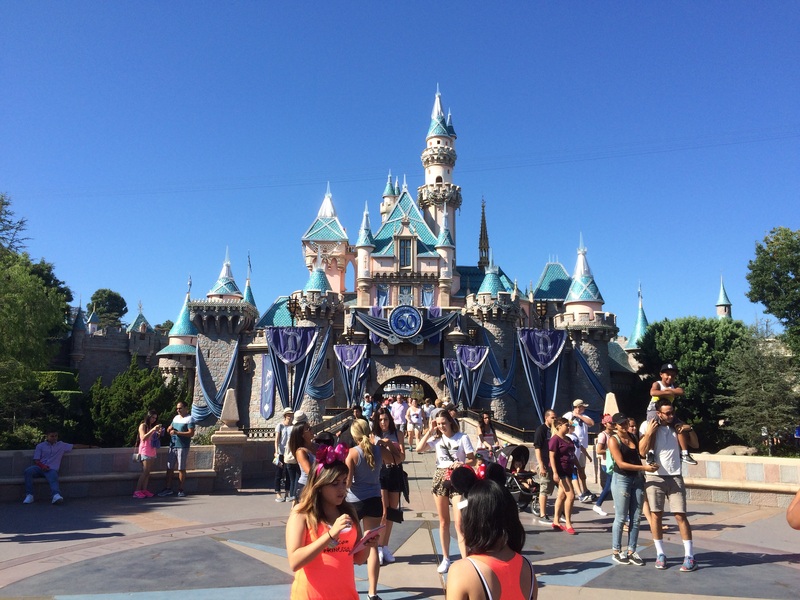 However, since I had the time and was out to make up for a bad birthday, I had to go inside Disneyland. After seeing that what I needed to buy at Disneyland was there, I wandered around and noticed that Pirates of the Caribbean only had a 20 minute wait. So, I thought….why not? 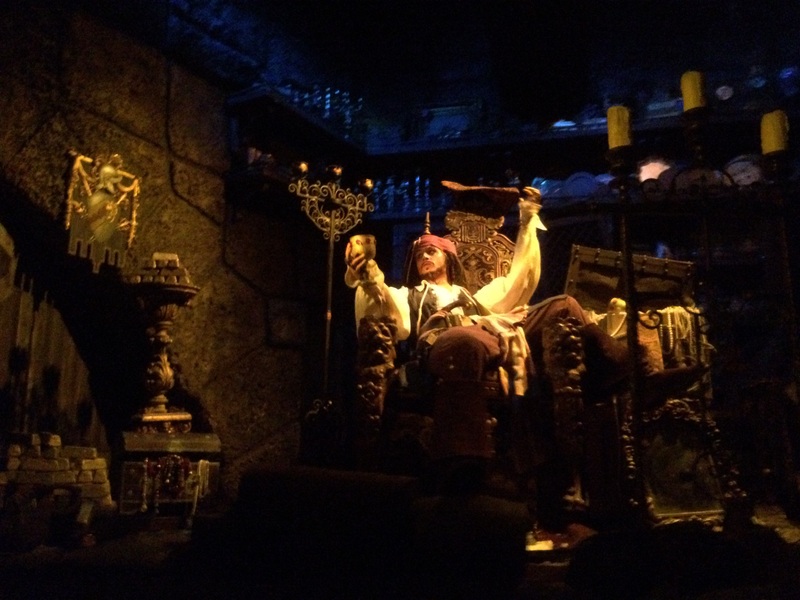 I headed over to my favorite ride and paid my respects to Captain Jack Sparrow. It was a sunny and hot day at the park. What I liked is that crowds seemed pretty light! 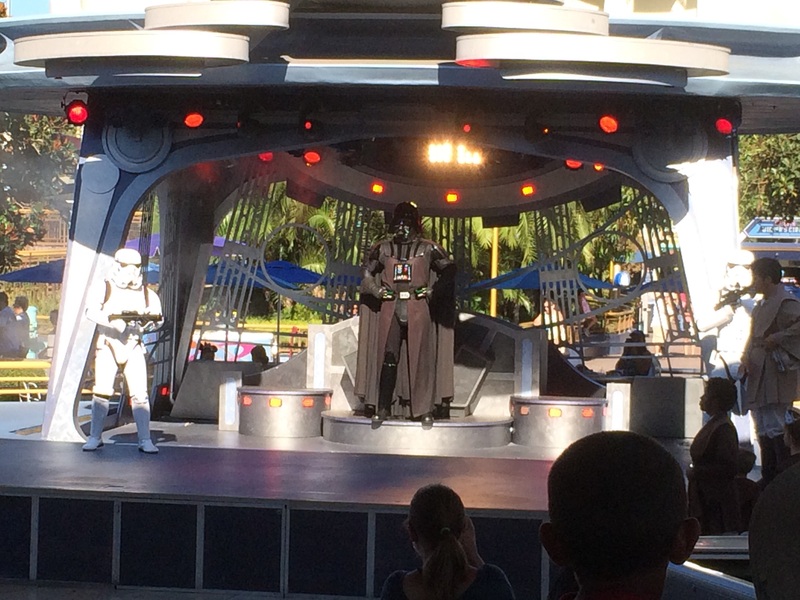 I grabbed a Churro in Tomorrowland and watched some of the Jedi Training Academy. After all the Star Wars and Disney related announcements of the past couple weeks, I couldn’t resist. 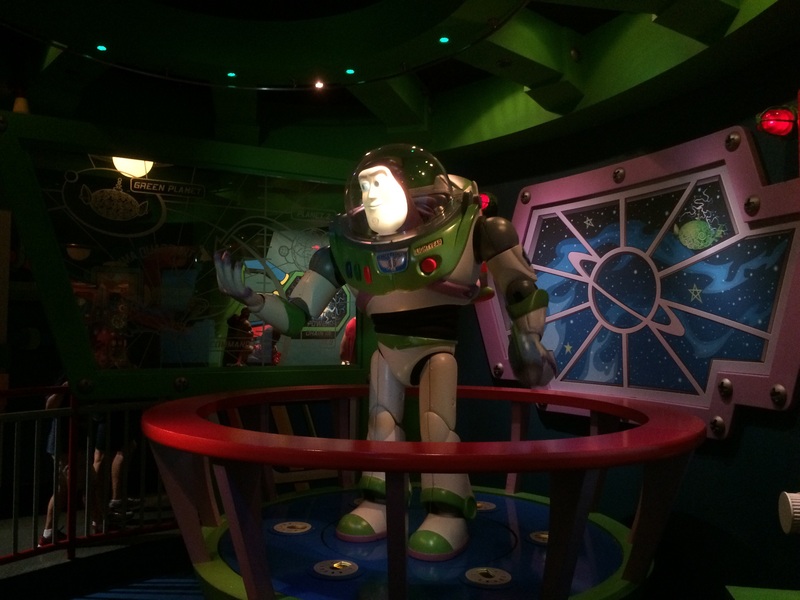 As I was leaving Tomorrowland, I noticed that the Buzz Lightyear Astro Blasters had no line. So, I had to take a ride and help rid the world of the Evil Emperor Zurg. Then, it was time to get my mom’s hat at the Mad Hatter on Main Street U.S.A.! Yep…I splurged for the engraving. While I was waiting to have the hat engraved, I got to watch the flag lowering ceremony on Main Street U.S.A. I’ve never seen this before. It’s pretty cool! 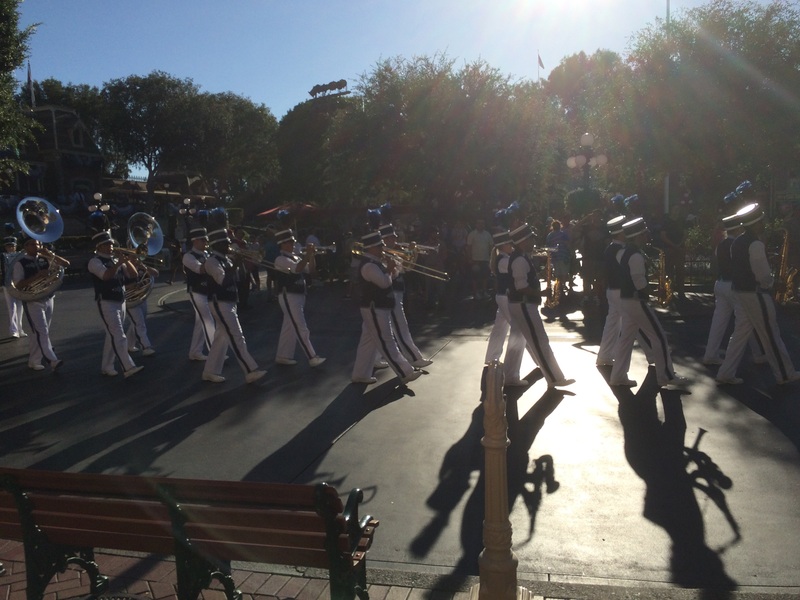 The Disneyland Band played some patriotic songs. They honored those that have served in the military. Then, the flag was lowered while the Disneyland Band played the Star Spangled Banner. After that, I had to head home. Saturday was the antithesis of Friday. It was fun to be in my happy place. Even if it was only for a few hours. 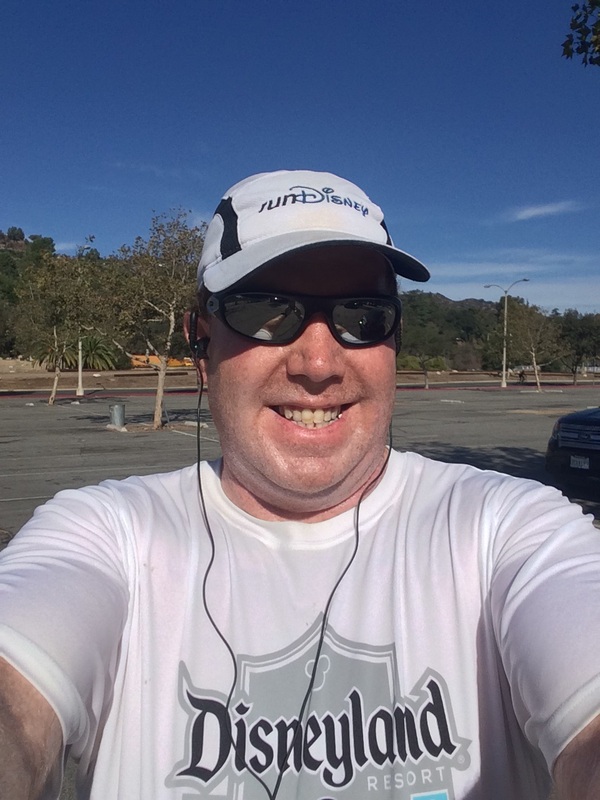 On Sunday morning, I headed out to the Rose Bowl to get some more miles in. Here’s where the recovery part of training kind of stinks. I had 23 miles on the calendar to finish. However, because I had been so sick (and it was soooooo hot), I didn’t think it would be wise for me to attempt 23 miles. I had hoped that I would run somewhere between 9 and 12 miles. This is what I got…6. While I’m a little disappointed that I quit early, I am happy about how the first 5 miles turned out. I went out to run the marathon intervals again because they are a little easier on me. Since I wasn’t going to push myself to 23, I shouldn’t push myself too hard yet. That’s hard to do. The first lap around the Rose Bowl went well. I wasn’t as fast as Thursday over the first 3 miles. However, that’s okay. I was feeling alright. No problems. The fourth mile is always the tricky mile for me when I do the Rose Bowl loop. Why? Because miles 2 and 3 are easier. By the end of mile 3, I usually feel pretty good. Then, I begin the climb that mile 4 brings. By the middle of mile 4, the sun was starting to get to me. Another thing that wasn’t good is the flavor of Gator Aid that I had brought for this run. It didn’t taste good at all when I took it for the first time at the end of mile 3. It was so gross to me that I didn’t want to drink it again. This is where the problem started. The sun was beating down on me and I only had 1 bottle with water in it. By the end of mile 5, I could tell that I would run out pretty quickly. I knew the sun would be even more brutal on the third lap. So, I gave up. Mile 6 was finished largely because I had to finish it in order to get to my car. This was not the run I wanted one week before the Disneyland Half Marathon. On Tuesday of this week, I’m going to try and to a regular 4 mile run. One where I start with the marathon intervals for the first mile and then switch to a run 30 seconds, walk 60 seconds intervals. 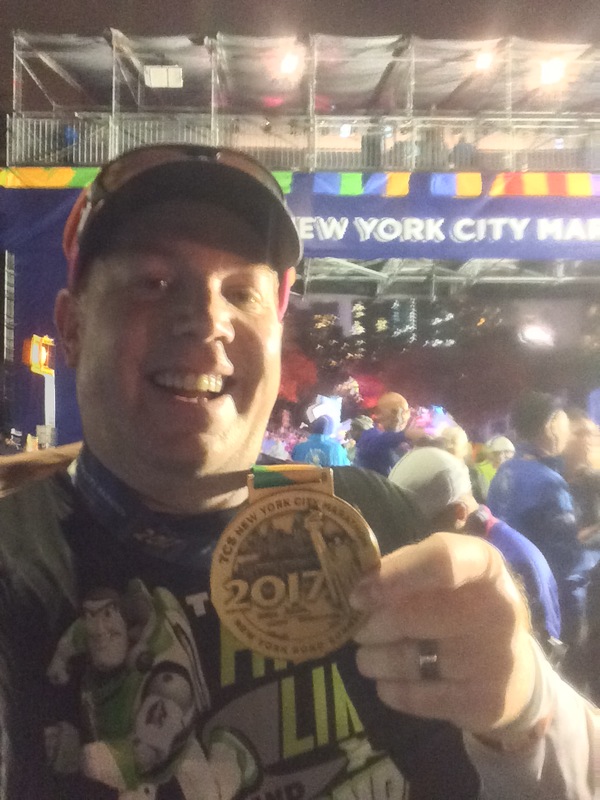 I’m hoping that will go well and do it again on Thursday evening (after attending the Disneyland Half Marathon Expo). If I do this and am alright, it will set up the weekend with some reduced expectations (more on that later). 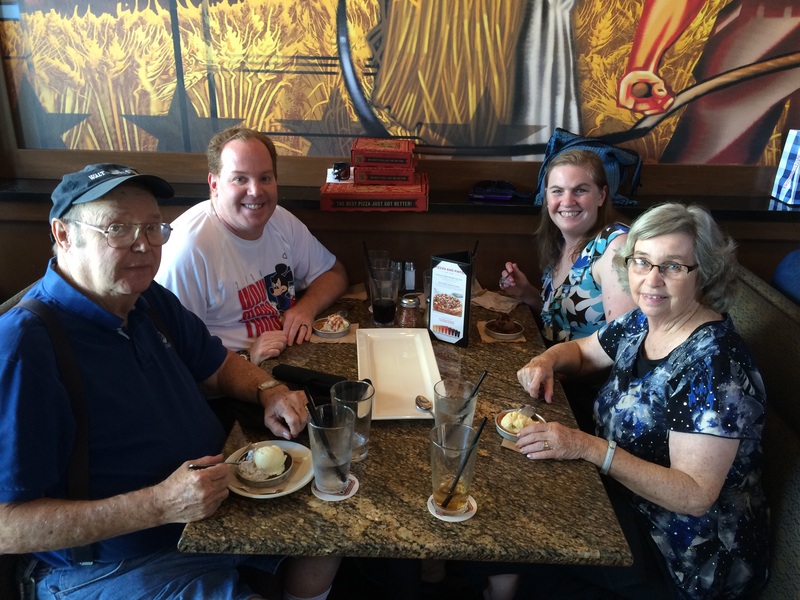 As I mentioned, my parents came up for a summer birthday celebration at BJ’s! It was a nice end to the week. 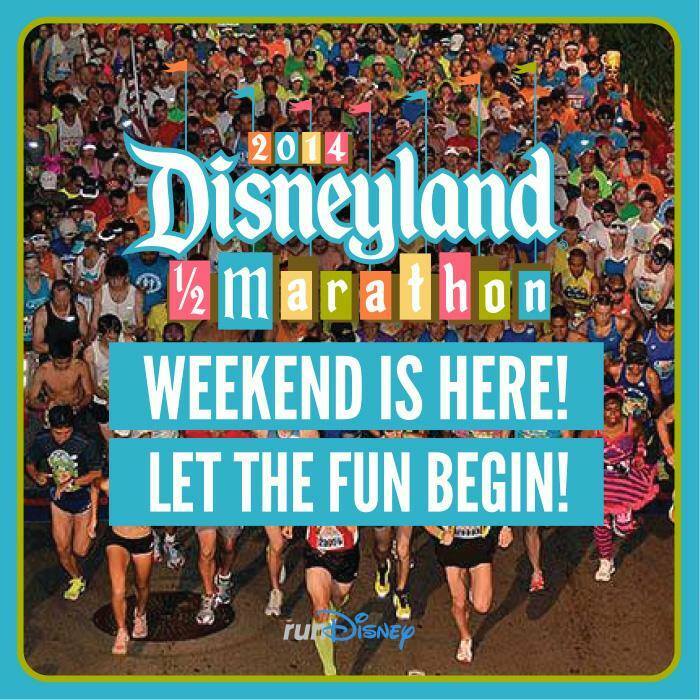 On Thursday, all the fun begins with the Disneyland Half Marathon Weekend Expo. Given the way my health and training has veered off course, I’m entering this week with some altered expectations. If all goes well this week with my two 4 mile runs, I’m still planning on making a 10K PR attempt at the Disneyland 10K race on Saturday. Where the expectations have been lowered is with the Disneyland Half Marathon. Right now, this race will be one that I try to have as much fun as possible. Time doesn’t matter. It will be very much a race where I see what the body has and build expectations as the race moves along rather than before the race. The temps don’t look like they will be too horrible for race day. I hope that holds true. Either way, I have my race outfits ready to go and can’t wait to run through Disneyland, Disney California Adventure and Angel Stadium! Last, but certainly not least, I have drawn a winner for my first ever give away. Several of you have generously made donations for the charity I’m running for at the Bank of America Chicago Marathon. 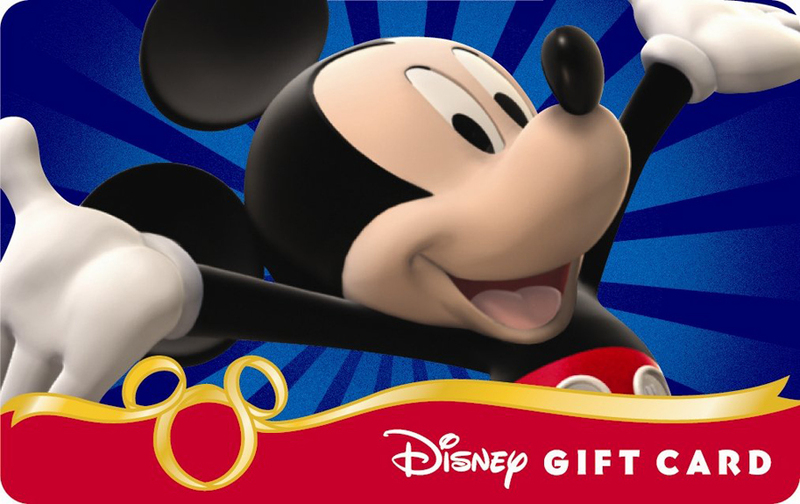 As I mentioned, every $10 earned you ONE entry for the $50 Disney Gift Card. 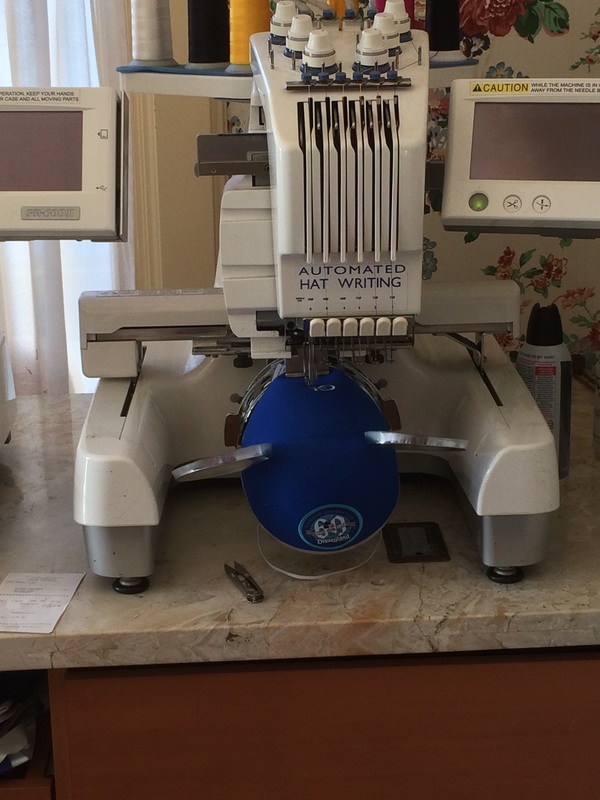 This weekend, I put the names of those who made donations into a hat and drew the winner. So, without further adieu, the winner is….. So, Jessica, please send me an email at whyirundisney@gmail.com to we can make arrangements to get your gift card to you. For the rest of you who are reading this, I still need to raise a lot of money to hit my goal. Please click in the image above to make a donation. Every dollar counts. Every child deserves a forever home. Please help Adoption-Link and Holt International in their efforts to see this dream become a reality. Disneyland Half Marathon Weekend Expo Starts TOMORROW!!!!!!!! Thanks! No matter how fast or slow the Disneyland Half Marathon goes, I’m going to find a way to make it fun. I had a good run this evening and hope to have another on Thursday. I am glad you are doing ok now. I only ran once last week and I felt terrible in that which I should have run 3 times a week. Oh well, sometimes life will throw people a curve ball. I hope to restart my regular training this week and it seems a bit cooler down in OC this week. Absolutely get back at it this week. We all have weeks where life gets in the way. All you can do is pick yourself up, brush off the dust, and keep moving forward. Don’t worry too much about the missed runs. They are in the past. Focus on the present and do your best to not miss. Slow runs are better than missed runs. Keep moving! glad you are feeling better! the weather has been so crazy lately so I just shortened my interval and focused on getting the miles in and hopefully that will be enough! The weather has been crazy this summer. It looks like we might get a pretty decent weekend at Disneyland for the races. Crossing my fingers and praying that the temp predictions hold or cool off a little bit. Either way, it should be better than two years ago…knock on wood!